The expo pass will get you access to the Sea Otter Canada Expo Festival, which will feature 200 plus leading cycle brands, 200 plus demo bikes, demonstrations, kids area, and a wide selection of local food vendors, craft beer and live music. It’s finally time to settle that score with your friends. Who can climb to the top of Blue Mountain the fastest! Challenge yourself and your fellow riders and maybe try it on different bikes. See where you stack up for the crowning of the King and Queen of the iconic climb up the GRIND. Riders in this event self-seed within their respective age category and can tackle the GRIND as many times as you choose over the 8-hour open course timeframe. A Sea Otter staple, this is head-to-head down a custom-built fast track of jumps, roller and berm, the course is designed with all riding abilities in mind, so be sure to give it a shot! We’ll be running this event Canadian style, keeping it relaxed and about the fun. What does that mean? Riders will be able to race against whomever they want, each rider gets two laps and your time will rank you against your age category. Riders registered in the Pro categories will race ‘old-school’, battling head-to-head in heats, to crown the first ever Sea Otter Canada Dual Slalom Champion. XCC is the newest addition to the cross-country discipline, often referred to as the “20-Minute Sufferfest”, this event is a 1-1.5km long course that sweeps through the lower mountain and village. It’s a mass-start, action-packed, spectator friendly event and has a whole lot of sprinting. The XCC Elite event is meant for competitive racers only and for good reason, this course is gruelling. 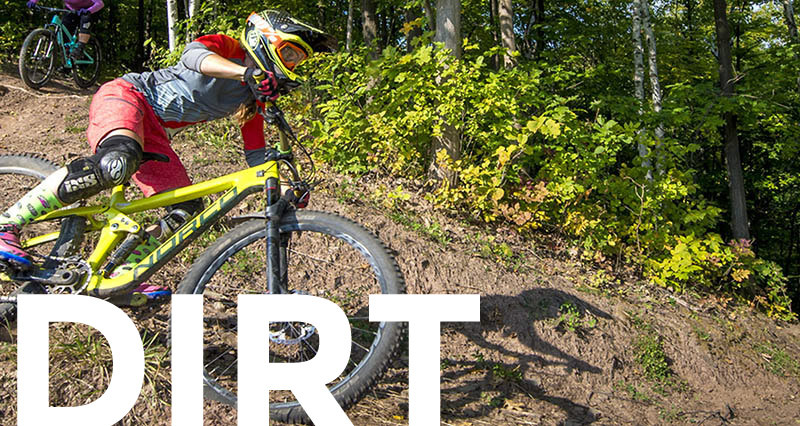 For riders looking for more of a multi-lap, relay race, check out the XC Short Track 3hr. Held on the same trail as the XC Short Course, the 3-hour relay is designed for anyone who wants to challenge themselves on a mountain bike. Single, 2 person and 4 person categories will allow single track riders of all levels to approach this event with a PB or medal performance as the goal. Whatever your target, you can tackle it yourself or find some friends and share the experience – and maybe a little glory! Call it what you want, but we’re staking a claim that this event should just be titled ‘FUN’. It doesn’t really matter what your time is in this race, it’s more about how hard you ‘send it’! Racing down Blue Mountain Resort’s premier jump trail will certainly have its eyebrow-raising moments, what’s not to love!? Jumps, downhill and speed, this is an event for the whole squad. Open to any age category, be sure you meet the equipment requirements. This event defines what mountain biking is all about. Adventure. Untimed uphills and timed descents, this event will tour you all across the mountain, riding some of the hardest trails, back-to-back, and linking in trails that are normally closed to the general public. This enduro adventure is the only Enduro World Series Qualifier event in Eastern Canada and is also a part of the Norco Canadian Enduro Series. By racing in this event you can qualify for the Enduro World Series. A Sea Otter Road Race package gives you entry into all 5 Road Races for $430 (save $55). Road package also Includes a Multi-Day Expo pass. First time in Canada and inspired by Phil Gaimon. Stop eating now and compete in this unique event up Pretty River Rd. The climb is 7.6km long and climbs 215m at an average of 5.5%. Don’t let the average grade fool you. The changing terrain with a short 14% section is no cake walk! The Sea Otter Hill Climb is part of the Sea Otter Canada Road Package & Stage Race. With 4 categories the Sea Otter Criterium offers everyone the opportunity to experience this classic race format. Whether you are in it for fun (Recreational category where any bike goes!) or a seasoned Crit rider (Women’s Open, Intermediate Men, Competitive Men) this promises to be an exciting night of racing. Craft beer and live music will help create an electric atmosphere… The Criterium is part of the Sea Otter Canada Road Package & Stage Race. Scarecrow comes in two sizes. A light 40km course and the full-length 80km version. Both events will start in the Expo area with a few km to warm up on the pavement before the escarpment climb begins on the challenging 6th Street extension. 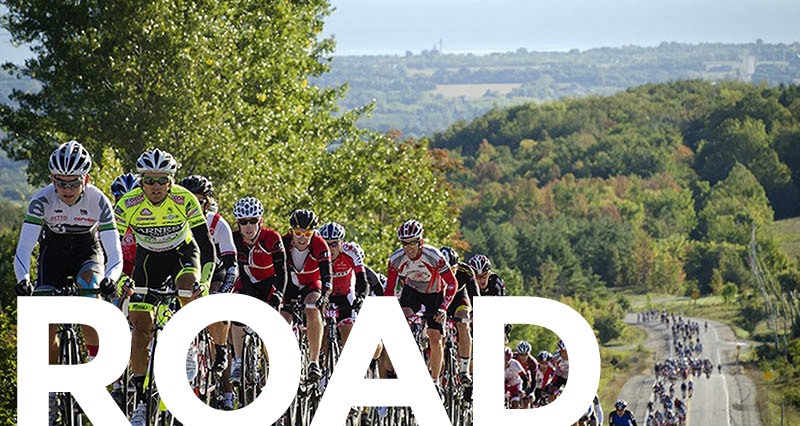 The ride takes you along rolling gravel terrain through the scenic Kolapore Uplands and Duncan area atop the Niagara Escarpment before descending on Grey Rd 19. The Scarecrow 80km Ride is part of the Sea Otter Canada Road Package & Stage Race. The Sea Otter Gran Fondo is offered in 3 lengths – 40, 80 and 120km. The 80km and 120km loops will travel out into the Beaver Valley and includes the iconic Pretty River and Epping climbs well known to anyone who loves riding in the region. Climbing is a signature aspect of the Gran Fondo with 800m of vertical on the 80km course and 1120m over the 120km route. A competitive category is offered on the 120km course with uninterrupted racing from start to finish. Others can make a day of it to enjoy the scenery and rest stops along the way while riding solo or with friends. The 120km Gran Fondo is part of the Sea Otter Canada Road Package & Stage Race. 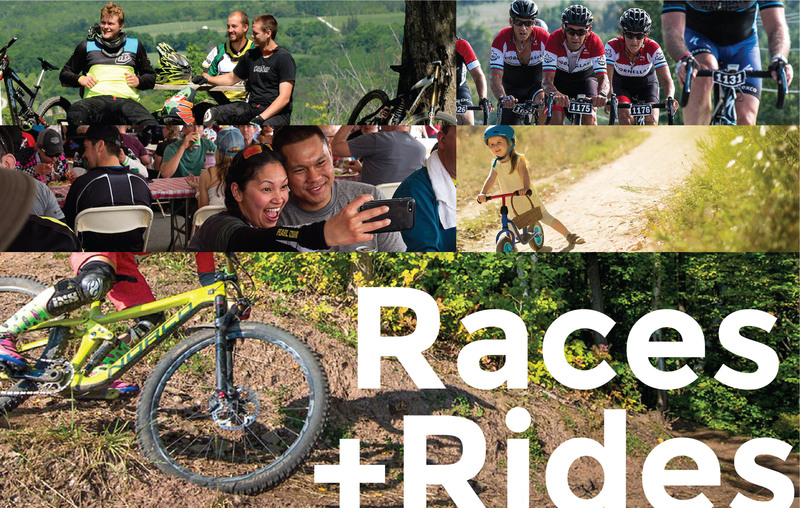 The Hub & Spoke Ride is a multi-day event for more casual riders and families to get out and explore the incredible riding and scenery to be found in region surrounding Blue Mountain. The Hub & Spoke is a highly curated experience that you can enjoy at your own pace and tackle over one or two days, while also making it as long or short as you wish. Each of the ‘SPOKE’ routes will take you from the Expo ‘HUB’ to one or more destinations including local wineries, craft distilleries, breweries, cideries and local attractions. Each stop along the route will offer varied Hub & Spoke experiences such as live music and special tasting menus of local food and drink. A first of its kind anywhere! The 1-Day Stage Race is a unique event and will be held on Sunday, closing out an exciting 4 days of road racing. The 1-Day Stage Race is open for single riders participating in the Sea Otter Canada Road Package & Stage Race, but also includes a four-person team format including single gender and mixed team categories. The individual race will be a mass start in waves while the team races will be a TT format including no drafting of other teams. The 3 stage course is 85km in length with 800m of climbing. Stage 1 starts at the Expo area and climbs 3km with 285m vertical shot straight up the iconic Scenic Cave climb. Stage 2 will see riders and teams head out from the top of Blue Mountain heading for Kimberley over the rolling hills of Grey Rd 119 and along the Beaver Valley floor on country road 13. Stage 3 leaves Kimberley, launching into a long climb to Eugenia right off start line. The route continues across the Lake Eugenia ‘causeway’ through Feversham and back down the Escarpment via the Pretty River Valley before a final climb up Sideroad 36/37 with the timed section ending at the Osler Bluff Ski Club. Riders will finish in a neutral roll back to the Expo and the celebration of the winners for the final road race of the Sea Otter Canada weekend.